If you’re considering booking a cruise to the Caribbean, there are almost too many options to select from. Numerous cruise lines offer unique itineraries in this part of the world, and their amenities and ships run the gamut from budget to luxury. If you want a kid-friendly cruise, you can find that. If, instead, you want an opulent getaway and one that’s slightly higher end, you can find that too. Still yet, if you want a family-friendly experience that offers a little bit of everything—affordability, versatility and fun, with a splash of luxury—you may want to try a brand-new ship that just launched out of Miami—the new MSC Seaside from MSC Cruises. This ship is not only new out of the gate, but it offers many special perks you should absolutely try. Many people choose cruises because they have a set travel budget and they want to get a lot of bang for their buck. Fortunately, the value is plentiful with this new ship. 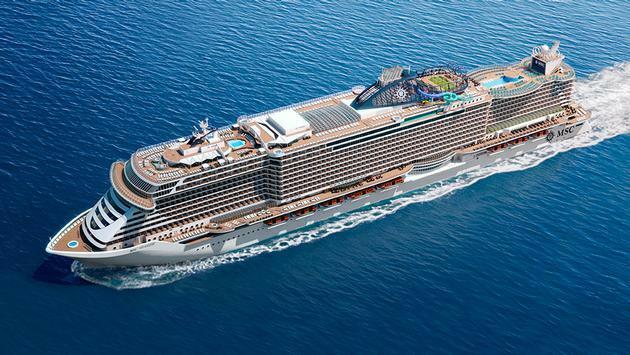 The new MSC Seaside is offering seven-night Caribbean cruises that start at just $449 per adult. Also make sure to check for specials. Some of their initial cruise offerings come with extremely low rates plus onboard credits and internet packages. Everyone loves the idea of a new ship with brand-spanking-new cabins, but staterooms on the MSC Seaside look especially spectacular. Even traditional balcony cabins feature up to 269 square feet and are lavishly furnished with an upscale color theme. For even more luxury, you can book a large family suite that sleeps up to ten, a suite with a whirlpool bath or a suite in the Yacht Club, which features a separate living room and a private balcony with a whirlpool tub. The MSC Seaside offers plenty for the kids and that includes a large interactive waterpark with four water slides. The park offers activities for kids of all ages, including an AquaPlay area for tots. You will not go hungry on the MSC Seaside. The ship boasts nine different restaurants including an Asian market, seafood restaurant, steakhouse and more. The ship also offers 20 lounges and bars that offer coffee drinks and all your favorite cocktails. If you can’t decide whether to cruise the Eastern or Western Caribbean, the MSC Seaside offers both. You can choose a cruise with stops in Jamaica, the Cayman Islands, Mexico and the Bahamas, or cruise to the U.S. Virgin Islands and the Bahamas. Last but not least, let’s not forget that kids under the age of 11 cruise free with paid adults on certain MSC Cruises itineraries, and that includes the new cruises on the MSC Seaside. With prices starting at $449 per person and kids cruising for free, this could be one of your least expensive vacations yet.